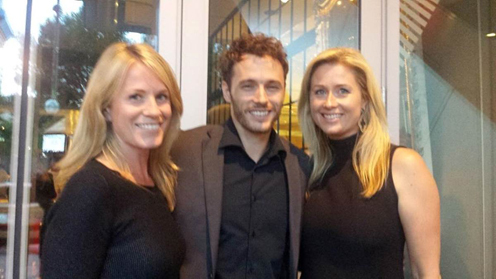 SavvyMom Roundup: Jimmy Kimmel, the Real James Franco and More! Now that reality is the new fiction/entertainment, I find myself doubting what's true or false. Is everyone on Facebook really that perfect? Are we raising a generation of wimps? Can homegrown videos reach nine million people organically? Is bacon a food or an industry? 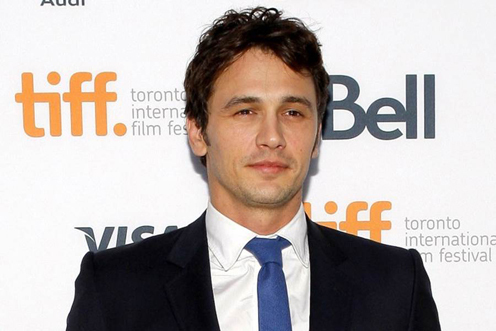 And for the love of God, will the real James Franco please stand up. 1. It seems I'm not the only cynic in my house. Yesterday, my son showed me this article about a soccer team in Ontario that announced it was removing the ball from the game. Apparently, the parents decided that since they don't score the games anymore (too competitive) they should just remove the soccer balls as well -- so nobody gets hurt. My son was horrified and asked 'MOM, is this for REAL?' Fortunately, I was able to explain to him that not everything you read on the internet is true. Sometimes people post things to get attention -- and perhaps even to make a point. It might get shared more that way, too. It is a hilarious article though, and well worth a read for any competitive sports parents. 2. Jimmy Kimmel, with all his wit and wisdom, is contributing to this culture of blurred lines between what's real and what's not. You have likely seen the viral twerking video seen by over nine million people last week. It was believed at first to be homegrown and authentic. Jimmy waited until every news channel on television and online promoted it before coming clean and admitting that he was the brains behind the operation. Interestingly though, he claims he made it with a cute stunt girl and popped it up on YouTube without any media support behind it. He wanted to make it look real, just like any regular guy, and see how it did -- proving that in real life, anyone can make a clever home video that could be watched by 9M people in one week. Watch him tell the full story above. It's a really funny video and the timing is perfect with the twerking -- but do you really believe that those nine million viewers just happened? I think there might be more to the story. 3. Speaking of fooling the public, our very own Alison Rockwell, Toronto writer for SavvyMom, has been seen gallivanting with some of the stars at TIFF this past week. Apparently she was chatting with Mark Wahlberg about the kids menu at his new diner in TO's SoHo Metropolitan Hotel. She also met James Franco. He was reportedly very friendly and open to speaking to many guests at the event. Then she woke up the next day (still basking) and learned that it wasn't this guy she was flirting with. The fake Franco was living large at the festival until the real deal stepped in. Apparently they met and the fake Franco was invited to a party, but hasn't been seen since. I'm glad the truth came out in this case--but could it have been a big publicity stunt by Franco's publicist? I doubt it, but it's still a good story. We'll let you know more about Mark's diner when it opens. 4. One ingredient I'm sure they are serving up at the Wahlberg's diner (his brother is a chef) is bacon, because when it comes to bacon, it's a world gone mad. A simple food item has transformed itself into a modern day industry. Here is the latest product available to consumers who are interested in creating the perfect bacon cup. Bacon lovers, you have been waiting for this. 5. Finally, with fall around the corner, I never seem to be sure about the way to wear my scarf. I often wonder if there is another way to wrap or tie the bloody thing and often feel insecure about the way it turns out. Everyone else seems to look so much cooler wearing theirs. Here's help from PureWow.com--three simple ways to tie a scarf. You're welcome.